Cometh the April Fools’ Day, cometh the April Fools' Day jokes. Here are the car world’s best efforts at pulling the wool over our eyes, and some are really hilarious! Car manufacturers around the world aren’t really known for their sense of humour but, every April Fools’ Day, numerous PR departments let their hair down and display their human side by concocting a varied array of April Fools jokes, some are obviously fake, some might get you questioning, maybe even hoping they are true! It turns out that even the biggest car makers enjoy an April Fools joke as much as the rest of us, and given the resources at their disposal, they often go to great lengths to make their efforts look as convincing as possible. Their attempts at fooling the public usually take the form of an advert or press release, promoting some far-fetched new model or science fiction technology advancement that the company claims to be working on. You might think that a brand like Aston Martin, that trades on its heritage and so-cool-it-hurts image, would be above indulging in traditional April 1st tomfoolery. And you’d be wrong. The brand’s April 1st 2018 press release announced Project Sparta, a new race programme to run alongside Aston’s current F1 and FIA World Endurance Championship efforts. That’s right, Aston Martin would have us believe that it’s entering a V12, 1,100bhp monster truck in the US-based Monster Jam series. 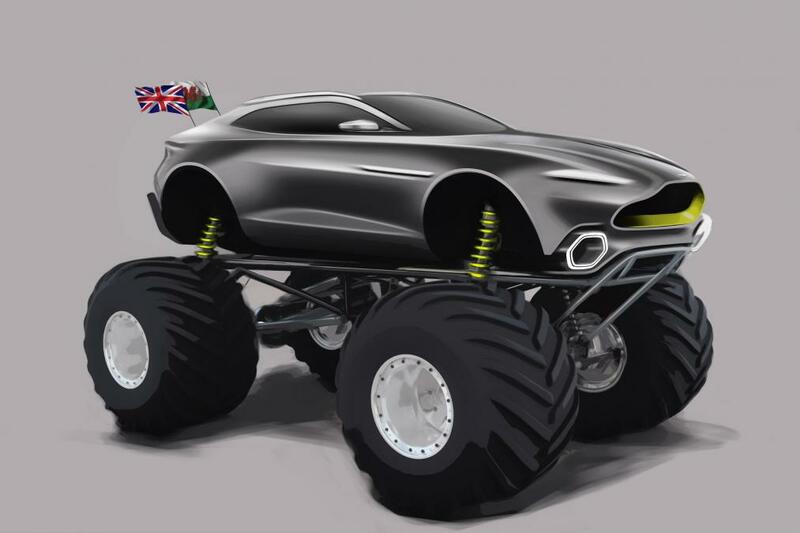 Engineered alongside the new Aston Martin Varekai SUV, the big-wheeled beast is designed to do battle with the giants of the monster truck world, including Grave Digger, Big Kahuna, Ice Cream Man and Jailbird, and it’ll enter the competition in the 2019 season. Or maybe it won’t. MG has announced a new alternative fuel version of its MG ZS SUV for April Fools Day 2018. 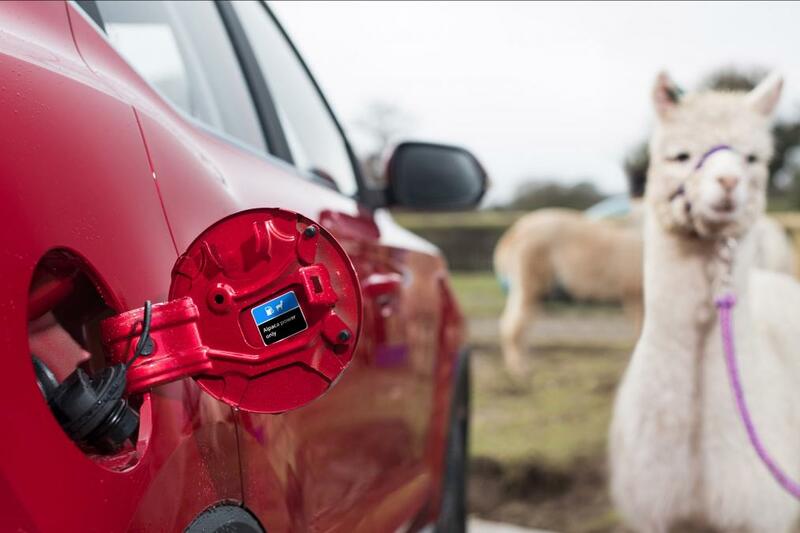 The firm claimed that a new partnership with the Faerie Tale alpaca farm in Kenilworth has resulted in the development of a version of the compact SUV that runs on alpaca poop pellets. Daniel Gregorious, Head of Sales & Marketing at MG Motor UK, said: “Following our decisions to no longer sell diesel-powered vehicles in the UK market, we wanted to take it one step further and see what was possible using alternative fuels to develop low emission vehicles.” It sounds almost feasible but the emission we’d be most worried about would be the smell. SEAT has announced “the first car ever that truly does cost pence to run” for April Fools 2018. 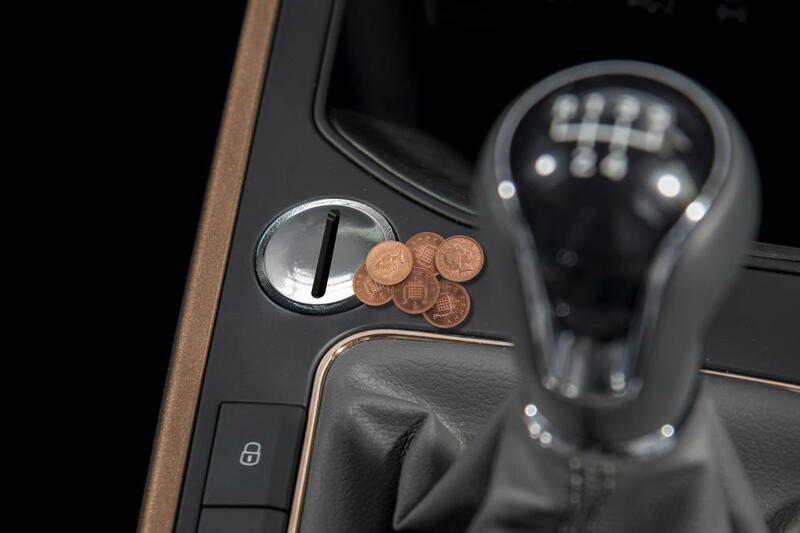 The SEAT Arona Copper Edition plays on the mooted withdrawal of copper coins from circulation in the UK and features a coin slot alongside the gear lever where 1p and 2p coins can be inserted to power the car by means not fully explained in the short release. Rhea Sonible-Price, product manager at SEAT UK commented: “Research shows that some of our customers are understandably brassed off that copper coins could disappear forever, but here at SEAT we’re convinced there’s a new lease of life to be had for these little bits of history as part of the workings of a cutting-edge, modern car. Skoda teased stressed parents for April Fools Day 2018 with the seductive idea of a new way to drown out the unwanted noise coming from younger car occupants. 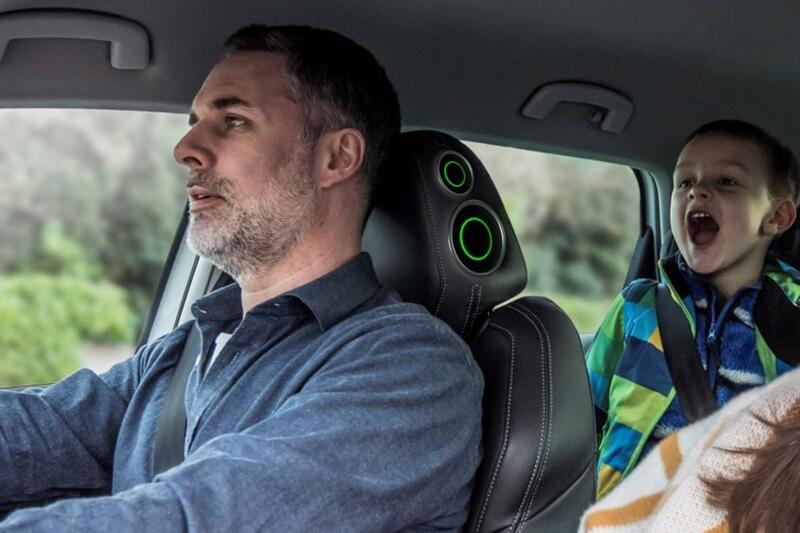 The new noise-cancelling headrest for the Skoda Karoq apparently features QuarrelKancel™ technology and works to drown-out backseat bickering, leaving the driver in a state of zen-like calm. Skoda says the headrest technology is the work of its Chief of Family Relations, Professor Si Lence and Special Projects leader, Dr April Fürst, “We tested 1,000 families over 10,000 miles and identified that 80dB, the sound equivalent of a vacuum cleaner, is the pitch most unbearable for parents,” said Dr Fürst. Honda has really gone to town for April Fools Day 2018, returning with an angle grinder and whipping the roof off its CR-V mid-sized SUV. A little Photoshop trickery would certainly have sufficed but it’s good to know that the resulting Honda Concept CR-V Roadster does actually exist in the real world. 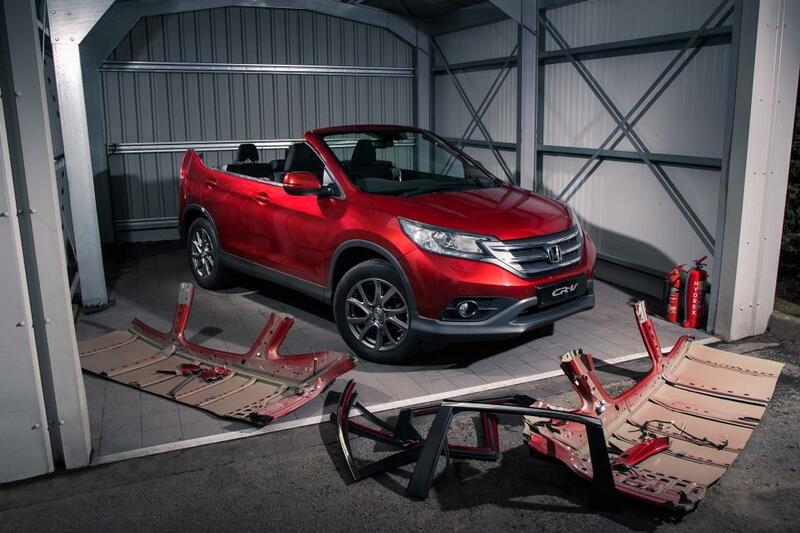 Honda claims that the SUV Roadster is designed “purely for sunnier climates and therefore completely useless for the two-day British summer which traditionally occurs in May”. It also provided a quote from one 'Eipurirufūru', who is said to be the company’s 'Future Opportunity Occupational Lead'. The real sting in the tail of the Honda Concept CR-V Roadster story, though, is that what Honda apparently sees as an April Fools joke, Land Rover actually put into series production in the shape of the Range Rover Evoque Convertible. Ouch. 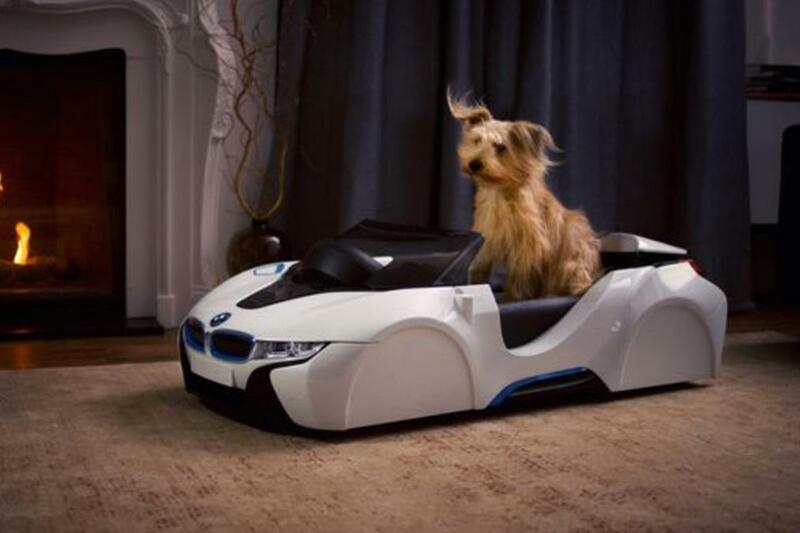 BMW spared a thought for our four-legged friends on April Fools’ Day 2018 with the dDrive dog basket. The high-tech doggy bed was modelled on the firm’s latest electric car range and puts your pooch into an utmost calm and state of relaxation, it can only usually attain by sticking its head out of the car window. The wind-in-the-fur feeling is delivered by a BMW TwinPower Turbo Fan that fires a stiff breeze right into the dog's face. Everyone’s a winner. In what appeared to be an amalgamation of elements from various April Fools’ Day hoaxes of years past into one April Fool epic, MG brought us the voice-controlled emoji windscreen in 2017. 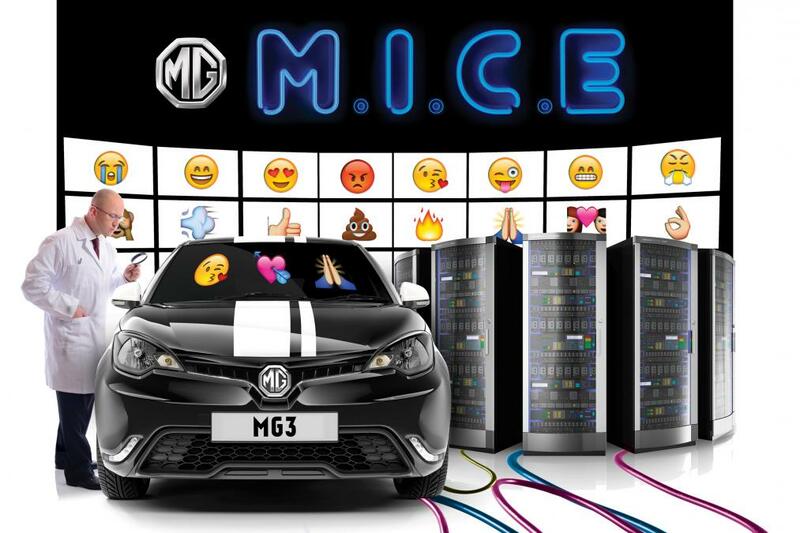 It uses MG Inter-Car Emoji technology or MICE, giving MG customers the opportunity to proudly inform friends and acquaintances that their car has MICE. The suspicious windscreen tech uses LED technology in the car’s front and rear windscreens to allow the driver to communicate with other road users through the medium of emoji. The brains behind this voice-controlled tech is said to be one Professor Hans Frei. You couldn’t make it up, so MG did it for you. 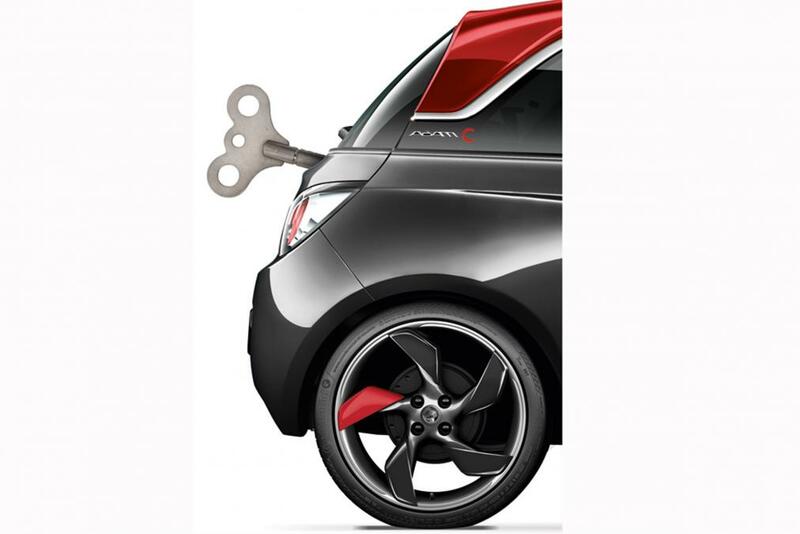 Vauxhall/Opel claimed to have entered a new era of “zero running costs and emissions” this year with the launch of its Adam C. Closer inspection reveals that this is the world’s first full-size wind-up car and Vauxhall’s in-house jokers reckon a 15-minute wind powers it for a range of 125 miles. An added bonus is, apparently, that “by exercising your chest, shoulders, arms and core muscles, a 65kg person can expect to burn over 400 calories in just 15 minutes of winding”. The man behind the design was ‘Mick Cannical’, Vauxhall’s Chief Kinetics Engineer. I think we’d rather get the bus. 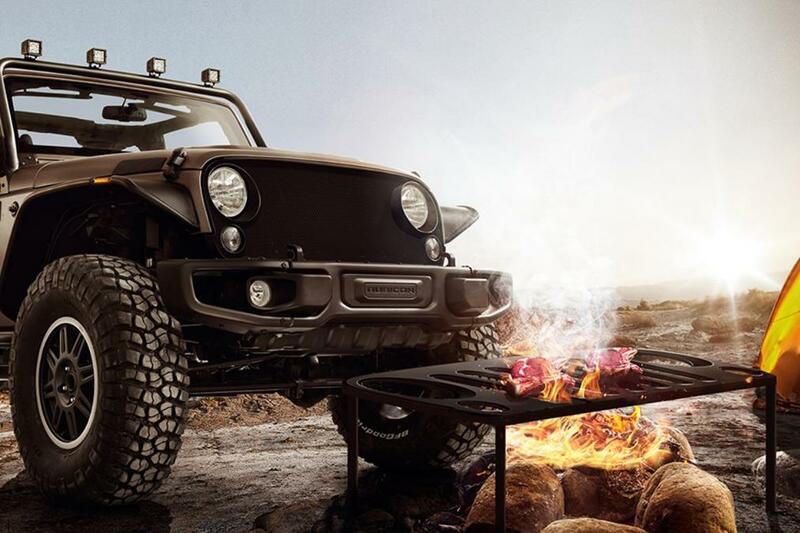 In the manliest of pursuits, the braai (or BBQ if you're not South African), it is obvious that Jeep wants to get in on the culinary delights of tanning a chop to within an inch of its life. The grill would be perfect for those looking to take advantage of the Wrangler's rugged appeal and could be great for a Jeep-themed camping trip in the African safari! The Aston Martin Project Neptune Luxury... Er... Submarine? Video: Which Is Better: The New Aston Martin Db11 V8 Or A 5-star Hotel? The Vanquish Zagato Speedster By Aston Martin! Yes! This Aston Martin Valkyrie Is Street Legal!